The City Brain Lab is committed to building new infrastructure for future cities by using data, also opening up a “pipeline” of city data. 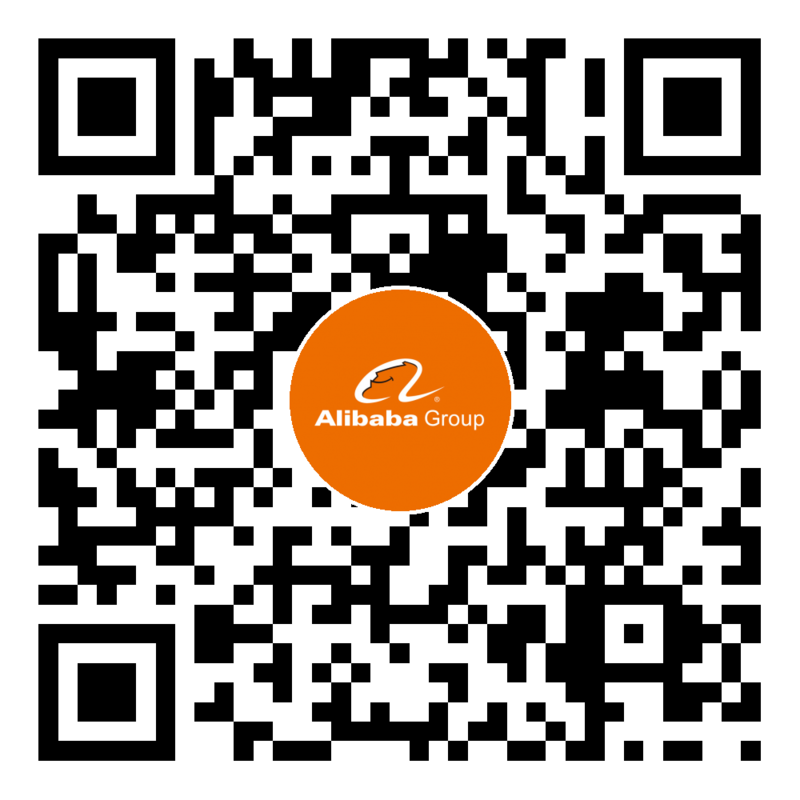 The solutions have been deployed in Hangzhou, Suzhou, Shanghai, Macau, Malaysia and etc., which assists to solve problems of transportation, security, municipal construction, urban planning and etc. Framework “City Brain” is one of the largest public artificial intelligence systems worldwide. Research in this area focuses on comprehensive multi-dimensional analysis of urban residencies through fusing multi-view learning with multi-source heterogeneous data. Research in this area focuses on analyzing, forecasting, and intelligently intervening in traffic congestion management based on the structure of large-scale road networks. Research in this area focuses on parallel heterogeneous computing to accelerate the computational and processing capacity of networks for real-time large-scale unstructured data. Research in this area focuses on creating effective perception models for urban environments by designing robust, self-adaptive computer vision algorithms. Research in this area focuses on modeling the characteristics of pedestrians and their behavior with dynamic data and features extracted from video, to improve search and recognition accurancy. Research in this area focuses on intelligently analyzing and decision-making on the layout of urban infrastructure and allocation of public resource, which is based on a combination of the smart analysis of big data and regular pattern of urban development. The Tianji city brain is a traffic flow forecasting system. It predicts future vehicle and pedestrian traffic flow through the continuous analysis of historical and real-time video data. It provides reference data for decision-making on traffic management and control to avoid congestion, pedestrian injuries, and other issues. Currently, the system can predict next one-hour period vehicle and pedestrian traffic flow with an accuracy rate over 90%. Tianjing is a municipal construction and management system. It provides warning services for automatic surveillance of municipal affairs, while aids various governmental organizations in urban management, security supervision, fire protection, housing construction, and policy bureau. It also assists with manual inspections, eliminates hidden risks in municipal engineering, and improves intelligent municipal administration. Tianying is a progressive video search engine. It quickly locates specific objects based on real-time searches of global video resources. For example, it only takes 1-2 seconds for Tianying to process search results and find missing persons or track hit-and-run suspects. Its accuracy rate for pedestrian recognition is over 96%. Tianyao is a smart full-time global traffic patrol alarm system which provides comprehensive real-time perception of traffic accidents and automatically determines the specific cause of incidents, such as people-, vehicle-, object-, or event-based issues. It automatically identifies traffic accidents and violations, pushes notification to the command center for processing within 20 seconds with over 95% recognition accuracy rate. Tianyao performs 24/7 uninterrupted analysis of urban traffic to reduce security risks, lower the workload of traffic police, and improve the efficiency of law enforcement by freeing up manpower from manual monitoring. Tianqing is a large-scale visual computing platform，which consists of three components: a video access system, a real-time/offline computing system, and a visual search system, providing a comprehensive large-scale visual computing solution. It has the capacity of rapid and flexible cloud deployment, which is an innovative security product. It provides customers with on-demand smart analysis capabilities, which achieves accelerated video analysis speeds of up to 1000x and only takes one minute to process 16 hours of video. City Brain systems achieved over 92% accuracy rate for video inspection and recognition, while automatic traffic control and management raises 15% faster of transportation by using Internet traffic lights. Finally, efficient roadway access for special vehicles (ambulances, fire engines, etc.) increased by 50%. City Brain systems optimized public transportation through comprehensive data analysis. The passenger flow and volume management for two pilot bus lines increased by 17% and 10% respectively, a marked increase in efficiency. City Brain systems performed digital processing and analysis on urban infrastructure, including transportation, energy, water supply and construction, also smart decision-making for public security, public transportation, and public services authorities. The City Brain Lab cooperated with Xiongan New Area to build the future smart city consisted of cloud computing-based infrastructure, Internet of Things-based urban neural network and City Brain-based artificial intelligence hub. Since the one month period from launch of “Tianying: progressive video search engine”, 15 cases of theft and 4 lost persons cases have been solved, as well as exposing nearly 10,000 incidents of uncivilized behavior in public. 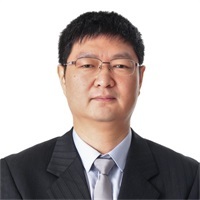 He holds Ph.D. in Applied Mathematics from Peking University IEEE Fellow, ACM Distinguished Scientist, Leading authority in the field of visual identification and search. Served as the chairman of multiple committees for international conferences, including ACM Multimedia and IEEE ICME. Honored as a member of the MIT TR35. He received the Ph.D degree from Northwestern Polytechnical University, Xi'an, China. He is an IEEE Fellow, and was a Chair Professor in the Department of Computing, The Hong Kong Polytechnic University. 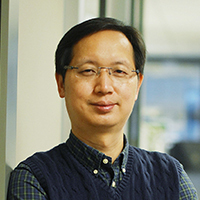 His research interests include Computer Vision, Image and Video Analysis, Pattern Recognition, and Biometrics, etc. By 2018, his publications in those areas have been cited more than 35,000 times. He was selected as a "Clarivate Analytics Highly Cited Researcher" consecutively from 2015 to 2018. He is/was an Associate Editor of IEEE Trans. on Image Processing, SIAM Journal of Imaging Sciences, IEEE Trans. on CSVT, and Image and Vision Computing, etc. Yiru Zhao, Zhongming Jin, Guojun Qi, Hongtao Lu, Xiansheng Hua. An Adversarial Approach to Hard Triplet Generation. ECCV, 2018. Sijia Cai, Wangmeng Zuo, Larry Davis, Lei Zhang. Weakly-supervised Video Summarization using Variational Inference and Web Prior. ECCV, 2018. Zhihang Fu, Zhongming Jin, Guojun Qi, Chen Shen, Rongxin Jiang, Yaowu Chen, Xiansheng Hua. Previewer for Multiple-Scale Object Detector. ACM Multimedia, 2018. Jiwei Yang, Xu Shen, Xinmei Tian, Jianqiang Huang, Houqiang Li, Xiansheng Hua. Local Convolutional Neural Networks for Person Re-Identification. ACM Multimedia, 2018. Xie G T, Wang J D, Zhang Ting, et al. Interleaved Structured Sparse Convolutional Neural Networks [C]. CVPR, 2018. Qi G J, Zhang L, Hu H, et al. Global versus Localized Generative Adversarial Nets[C]. CVPR, 2018. Zhang K, Zuo W, Zhang L. Learning a Single Convolutional Super-Resolution Network for Multiple Degradations[C]. CVPR, 2018. Yang J W, Shen X, Tian X M, et al. Local Convolutional Neural Networks for Person Re-Identification[C]. ACM on Multimedia Conference, 2018. Fu Z H, Jin Z M, Qi G J, et al. Previewer for Multiple-Scale Object Detector[C]. ACM on Multimedia Conference, 2018. Cai S J, Zuo W M, Davis L, el al. Weakly-supervised Video Summarization using Variational Inference and Web Prior[C]. European Conference on Computer Vision, 2018. Zhao Y R, Jin Z M, Qi G J, et al.An Adversarial Approach to Hard Triplet Generation[C]. European Conference on Computer Vision, 2018. Liu Y F, Jaw D W, Huang S C, et al. DesnowNet: Context-Aware Deep Network for Snow Removal[J]. IEEE Transactions on Image Processing, 2018, 27(6): 3064-3073. Chu W, Liu Y, Shen C, et al. Multi-Task Vehicle Detection With Region-of-Interest Voting[J]. IEEE Transactions on Image Processing, 2018, 27(1): 432-441. Shen C, Jin Z, Zhao Y, et al. Deep Siamese Network with Multi-level Similarity Perception for Person Re-identification[C]. Proceedings of the 2017 ACM on Multimedia Conference. ACM, 2017: 1942-1950. Zhao Y, Deng B, Shen C, et al. Spatio-Temporal AutoEncoder for Video Anomaly Detection[C]. Proceedings of the 2017 ACM on Multimedia Conference. ACM, 2017: 1933-1941. Zhao Y, Deng B, Huang J, et al. Stylized Adversarial AutoEncoder for Image Generation[C]. Proceedings of the 2017 ACM on Multimedia Conference. ACM, 2017: 244-251.